2018 Subaru Forester – With the release of 2018 Subaru Forester, we can expect that the new model will offer a roomy cabin and good fuel economy. If you are looking for a compact SUV, then the new Subaru Forester should be included on your list. 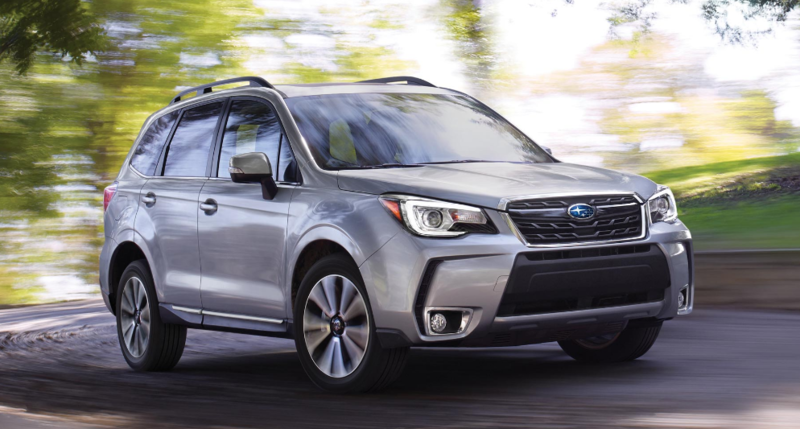 Other features that make the new Subaru Forester stand out from the rest include high ground clearance, powerful optional turbocharged engine, and the standard all-wheel drive. To find more information about Subaru Forester, spend some time and read our review below. What is New for 2018 Subaru Forester? There are some updates offered by the new 2018 Subaru Forester. The new model offers a new black trim package that comes with black finished wheels, grille, and body trim. The interior of the car is another aspect that has received some changes. Now you can see that the interior has received black gloss dashboard trim and black cloth upholstery. Don’t forget that limited trim levels also come with some nice features and one of them is the addition of a new cargo area cover. Touring trims also come with the Subaru’s Eyesight safety package. Other features include reverse automatic braking and automatic high beams. Buyers must know that the all-wheel drive 2018 Subaru is a five seat compact crossover that offers more power than other competitors in its class. There are six trim levels available in which buyers can choose 2.5i limited, 2.5i premium, 2.5i, 2.0XT Premium, and 2.0XT Touring. Well, there are some engines available. For example, the base model will be equipped with a 2.5-liter engine. 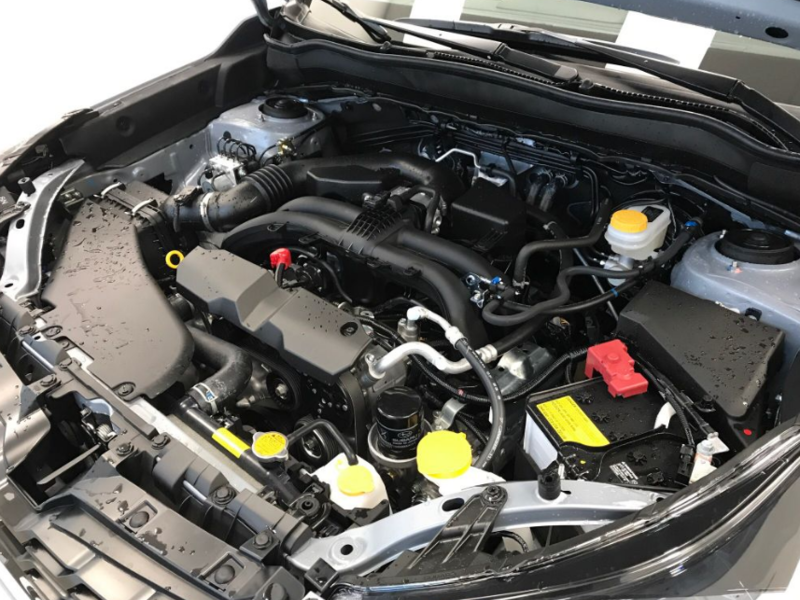 If you are looking for a more powerful engine, then you can choose the more expensive 2.0XT model. The 2.0XT model is powered by a more powerful turbocharged 2.0-liter engine. Please note the all-wheel drive is standard on all models. The base model comes with the standard equipment such as cloth upholstery, 17-inch wheels, Bluetooth phone, a 60/40-split folding rear seatback, and a height-adjustable driver seat. The 2.5i premium adds a power driver seat, panoramic sunroof, automatic climate control, reclining rear seats, voice commands, and an upgraded six-speaker sound system. The top trim level adds features such as adaptive LED headlights, 18-inch alloy wheels, keyless ignition and entry, and also upgraded side mirrors with integrated turn signals. 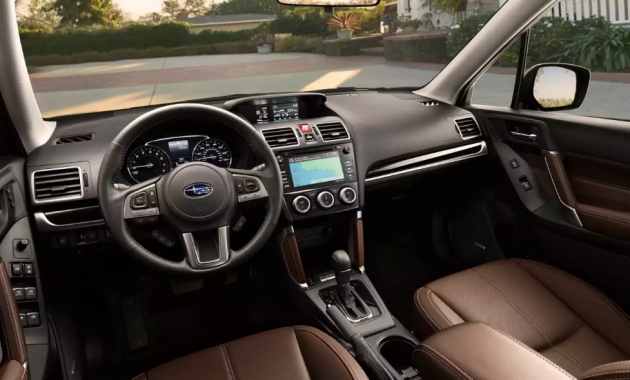 While there is nothing exceptional about the interior, but it is obvious that Subaru has made some changes which make it better than other rivals. Some functions are easy to use. For example, you won’t find any difficulties when accessing climate controls. There is good space inside the car. Don’t forget that the new center display is another feature that you will enjoy. However, we have noticed that the new Subaru Forester won’t include Android Auto and Apple Car Play. Safety features have improved since last year. The new Subaru Forester has a suggested retail price starting at $23,710 for the base model. Our best choice is the 2.5i Premium which has a retail price starting at $26,610. 2018 Subaru Forester is already available in 2018.